This supermini car comes in a compelling design with a new set of exterior and interior assembly. The design of the car is based on Hyundai’s Fluidic Sculpture 2.0 design philosophy. It is based on three principles of fluid aesthetics, modern appeal, and premium interior ambiance. The car is powered with the trapezoidal fog lamps, black C pillar block, wrap around tail lamps, revamped headlights and hexagonal front grille. The interiors include a black and beige dual tone dashboard, multi-steering-mounted audio controls, Bluetooth integrated 2 DIN audios with USB and AUX inputs providing 1 GB internal storage, rear AC vents, an engine start/stop button, with automatic temperature control. The Hyundai i20 is featured with a 1.2L Kappa engine with 80 PS (59 Kw; 79 hp) power at 5200 rpm and 114 N.m (84 lb.ft) torque at 4000 rpm. It also comes with a 1.4L gamma gasoline engine with 100 PS (74 kW; 99 hp) power at 5500 rpm and 139 N.m (103 lb.ft) torque at 4200 rpm, powered by four speed automatic transmission. Whereas, the Hyundai i20 CRDI diesel has 90 PS (66 kW; 89 hp) at 4000 rpm and 224 N.m (165 lb.ft) torque in-between 1750-2750 rpm, and comes with a six speed manual transmission. The Euro NCAP (European New Car Assessment Program) is a voluntary vehicle safety rating system, has rated a maximum five-star safety rating and scored six out of a maximum of seven points in the “safety assist” category. The vehicle is renowned for the belt reminder and electronic stability program that reduces the risk of skidding by braking individual wheels. This car features six airbags. The driver and passenger in the front, along with side and curtain airbags for rear passengers. It also has the advanced Antilock Brake System (ABS) with Electronic Brake-force Distribution (EBD) that helps to control the vehicle in slippery areas. Also, it offers safety features like rain sensing wipers and automatic darkness sensing headlamps, central locking, impact sensing auto door unlock, keyless entry, rear fog lamps and the advanced engine immobilizer. Based on the fuel type and transmission, the Hyundai i20 is bifurcated into 4 variants, namely the petrol manual, petrol automatic, diesel manual and diesel automatic. The petrol variants are priced between 5.25 to 8.50 lakh, while the diesel version is priced between 6.75 to 10.25 lakh (ex-showroom). Furthermore, the Used Hyundai i20 car offers a good resale value. 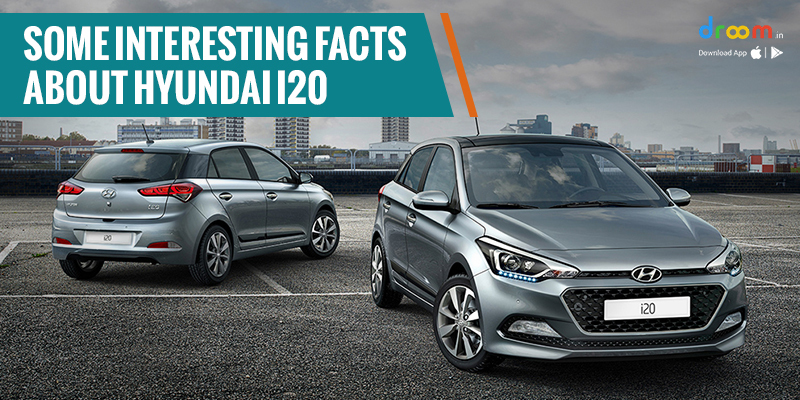 The Hyundai i20 has changed the perception of an SUV car. With its improvised driving dynamics, added features, spacious architecture, modern and futuristic design, this Car is making an optimistic impact on the Indian automobile industry.